What needs to go right for the Dolphins to earn a playoff berth in 2010? 1. Randy Starks, who excelled in his first season as a starting defensive end, needs to emerge as an effective nose tackle for at least the first eight games, which is the duration of Jason Ferguson’s suspension. If he fails the Dolphins might need to abandon the 3-4 scheme this regime prefers. 2. Henne, who is entering his second season as a starter for the Dolphins, must take the next step. Henne needs to improve his fourth-quarter play, cut down his turnovers, and establish himself as an unwavering team leader to prove he’s the quarterback of the future for the Dolphins. 3. Both Brown and Williams need to stay healthy for an entire season because the Dolphins lean heavily on the running game, and their style of offense doesn’t work well without both Pro Bowl backs. So, what in your opinion needs to go right for this team to return to the playoffs? Follow the same formula from 2008 - stay healthy and win the turnover battle. 11 wins should do the trick. 2nd point is the most important one. Forget Starks being effective as a NT...it should say Miami's defense needs to be effective. Will this new scheme be aggressive enough? Will they get beat to frequently? There are so many questions on the defensive side of the ball, it goes beyond what Starks can do. With him, this offense is best in the league (yes, I said it), without him they are just above average. I agree with the comment on the defense for sure. I have no question that Nolan will be very aggressive just by looking at those Ravens & 49ers defensive teams. This group is so young and there are so many new faces that need to be blended into a cohesive group. How Miami defense comes together is by far the biggest key for me. What we saw without Brown was a dramatic drop in points per game. Not only were they facing tougher defenses, but they didn't have Brandon Marshall. 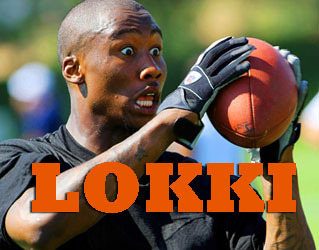 Brandon Marshall has nothing to do with last year. I am making the point that we need Brown healthy. No matter what you say about the Defenses we faced. Look at the point average after Brown went down. What do you mean Brandon Marshall has nothing to do with last year? You are saying Miami's point totals went down last year without Brown, so you're comparing this year's team to last year's....but yet I can't compare the two? The point total going down is two-fold...one because Brown was gone and two because of the tougher defenses. Miami won 3 games with him, won 3 without him, and won another with him for half of the game so it's split. So Brown staying healthy has nothing to do with Miami's playoff hopes. aka: Consistent defense. Giving up bundles of points in the 1st quarter or 4th quarter were suicidal. Yes all that and the fact that Ginn tip the ball that Sharper ran in for a td.....Man i'm glad his azz is gone...that right there could have been at least 1 win..
A healthy Ronnie Brown would certainly be nice, but I thought Ricky Williams did a solid job taking up the slack when Ronnie got hurt. He averaged almost 90 yards a game the last 8 games of the season when Ronnie was hurt. Still, the more playmakers you have, the better. Plus, Brandon Marshall certainly adds a different element to this team that they did not posses last year. He was very much a needed piece for this offense. In the end though, the defense to me is the biggest factor in Miami taking the next step.